INDIANAPOLIS--(BUSINESS WIRE)--Allison fully automatic transmissions have reliably moved troops and cargo in both tracked and wheeled defense vehicles for more than 65 years. Known for superior performance and exceptional reliability, Allison automatics continue to evolve to meet the stringent demands of military fleets worldwide. Allison representatives will be at Eurosatory 2018, the international defense and security exhibition in Paris, June 11-15, to discuss the company’s current and upcoming innovative and adaptive propulsion solutions for military applications. Overall, Allison transmissions provide higher torque ranges and higher gross vehicle weight capacity. Combined with advanced electronic controls, this optimizes the performance of higher-horsepower engines, delivering better overall vehicle performance and control, regardless of grade or terrain. Additional performance enhancements include improved fuel economy, built-in power take-off (PTO) provisions that provide power to vehicle-mounted mission equipment, and superior braking and steering of tracked vehicles for precise mission execution. Allison works with OEMs around the world to design, develop, manufacture and support transmissions that deliver in the toughest conditions. For fleets that are developing new wheeled or tracked vehicles, Allison can tailor a transmission specifically for that application. Allison engineers also have a track record of retrofitting existing models. A recent example is the ongoing testing of a Bradley Fighting Vehicle now outfitted with the 3040 MX, a variant of the X300™, found in the British Warrior, British Terrier and Swedish CV90 vehicles. Additionally, in an effort to anticipate and meet market demand, Allison is currently developing cross-drive architectures for medium tracked vehicles ranging from 23 to 36 metric tons, and for heavy tracked vehicles ranging from 50 to 63 metric tons. Allison transmissions use a torque converter that absorbs shock loads and spikes, reducing wear and tear on everything from the vehicle’s crew to the engine to the wheels or tracks. With Continuous Power Technology™, smooth engine acceleration at launch and during shifts protects the entire drivetrain. In addition, because an Allison transmission uses a torque converter for launch, there are no mechanical clutches to wear out. Allison Transmission (NYSE: ALSN) is the world's largest manufacturer of fully automatic transmissions for medium- and heavy-duty commercial vehicles, and is a leader in electric hybrid-propulsion systems for city buses. Allison transmissions are used in a variety of applications including refuse, construction, fire, distribution, bus, motorhomes, defense and energy. Founded in 1915, the company is headquartered in Indianapolis, Indiana, USA and employs approximately 2,700 people worldwide. With a market presence in more than 80 countries, Allison has regional headquarters in the Netherlands, China and Brazil with manufacturing facilities in the U.S., Hungary and India. Allison also has approximately 1,400 independent distributor and dealer locations worldwide. 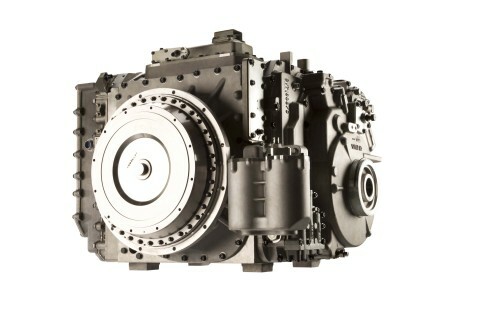 For more information, visit allisontransmission.com.